Insurers, investment managers and banks have been at the cusp of disruption in the age of digital channels and payments. They are also facing an inflection point with increased oversight by their regulators. 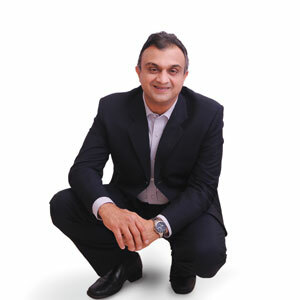 To address the challenges faced by these enterprises, Kalpesh Desai, a seasoned entrepreneur with over 26 years of experience in the insurtech and fintech industry, founded Agile Financial Technologies (Agile FT) in 2008. Agile FT offers core platforms to insurance companies, investment management firms and banks, under its umbrella brand “Agilis”. Agilis is differentiated by its ability to adapt and rapidly be deployed in diverse regulatory regimes and markets. Agile FT’s customer community of leading insurers, banks and investment management firms is spread across 28 countries in the Americas, Africa, Middle East and Asia. Support and implementation services are delivered locally through Agile FT’s ecosystem of channel partners. Agile FT has been a first mover in the areas of deploying blockchain and IoT (Internet of things) technology in emerging markets. An interesting use of blockchain deployment has been in its core Insurance and BancAssurance platforms. Banks and insurance companies come under different regulatory regimes that impose restrictions on data privacy and sharing. The resolution was to establish a permissioned blockchain (distributed digital ledger) between the insurers and the bank. Customer onboarding is facilitated because insurers can rely on the KYC conducted by the bank. Reconciliation errors are eliminated. The customer, bank and insurers can interact on a single blockchain using standardized protocols. Since the customer, using their private key, can approve the disclosure of information to a service provider for a defined period of time, cross-selling, up-selling and identity management is easily facilitated. The customer’s identity is immediately verified on the blockchain as is the ability for the service providers to trap and detect fraudulent transactions. Insurance carriers can also deploy distributed ledgers to facilitate quicker approvals of claims and claim payments by bringing in various external constituents who need to approve the disbursal of claims, on the permissioned blockchain. IoT technology adoption has also seen traction amongst insurers. To drive innovation in weather-linked insurance policies targeted at the agricultural industry, an IoT device has been deployed by an Agilis Insurance customer for farmers in rural areas (where last mile connectivity is a challenge) to monitor and alert on adverse weather conditions against which the farms are insured. In the event of a calamity, Agilis’ messaging platform automatically raises the first notification of loss, enabling the insurer to process the claim in a timely manner. Its private cloud offering enables greenfield (startup) insurance companies get to market quickly with ready and templated business models. This is a differentiated offering since it is a holistic service that encompasses both the production and the disaster recovery environments for the financial services firms deploying Agilis. “We pride ourselves in bringing technology agility to our customers in the insurance, banking and financial services industry, in this age of digital disruption. Our ability to learn and adapt to the changes affecting our customers is the primary contributor to our success. In addition to our embedded business intelligence capabilities, we are also building machine learning capabilities into our insurtech & fintech stack to enable customers leverage usage based pricing in the near term”, said Desai.